I can still see the construction paper–bound booklet of poems that I wrote in my eighth-grade English class. I had typed them on a typewriter and decorated the pages with hand-drawn, colored-pencil images. And now they were published, elevated to a status rarely given to schoolwork. The audience for my poems may not have been very big, and I doubt the quality was much to write home about, but my poems were published nonetheless, and that told me that I had created something worthwhile, that my writing was meant to be polished and published and shared. Long before arts and crafts met DIY and merged with hacking to become today’s maker movement, and before computer labs and libraries were converted into design spaces, English teachers were quietly inspiring students to be designers and creators in the original makerspace: the writing classroom. Done right, writing is making. After all, within the academic subjects, writing is the only discipline that asks students to create something new out of nothing. They are given a blank piece of paper (or a blank screen), and asked to use just words to make something new. Although the writing classroom may not look like a makerspace, the principles that drive a maker project can also be seen in a student-driven writing workshop. Makers and writers both work through processes that include brainstorming ideas, creating rough drafts, seeking feedback (or testing) in order to make improvements, and eventually producing a final product. 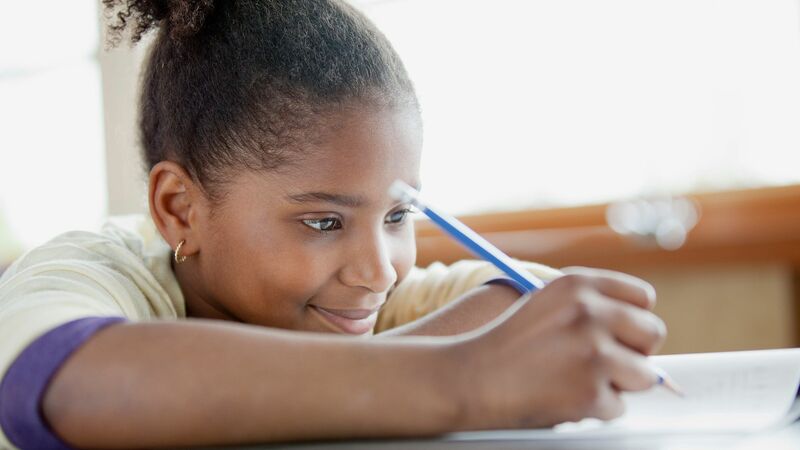 These processes are messy, both figuratively and literally: Writing students learn that crossing out errors, making changes in word choice, and completely revising sections of their work are natural and necessary parts of the writing process. And maker students learn that their project probably won’t be completed in one ideation, that there will be failures, that the floor may be littered with pieces of their efforts before they see a final product. The nonlinear process in both making and writing helps students learn that not getting it right the first time is part of the process, and that trying again is how they eventually succeed. I’m a big fan of the maker movement—I love seeing students engaged in creative, hands-on projects, and I’m inspired by teachers who are incorporating making into academic classes. But I feel a little defensive when the noisy, messy, 3D building of the maker lab is hailed as the cure-all for education. Yes, students need time to engage in these collaborative, hands-on learning and making activities, but let’s not forget the tremendous value of (and need for) quiet, reflective, solitary writing time. Not that the writing classroom is always quiet; during brainstorming sessions, my students talk and move around the room as they work. They might brainstorm for a while with a partner, then take their notebook to a quiet corner to think and plan some more, then work with a group to get more ideas. But as much as they enjoy this social way of working, they also appreciate the times when I provide quiet writing sessions. Writing is hard work, and if they are to focus on what they are crafting, they need quiet. They are not simply recalling or applying knowledge; they’re working at the highest level of Bloom’s Taxonomy: They are creating. And while they may be able to create in a noisy makerspace, the tools of a writer are in the mind. Choosing words, creating imagery, crafting sentences, and developing ideas all call for some heavy lifting of the mind, and that calls for uninterrupted quiet time. The year before I published my eighth-grade poems, my English teacher didn’t ask me to make something new. Instead, every single class period was devoted to grammar: the rules, the examples, and—you guessed it—the underlining and circling of words to identify parts of speech. I know I’ve benefited from that solid background in writing tools, but I also know it was one of the most painfully boring classes of my schooling. Why were we spending so much time on all the tools and rules if we weren’t going to use them? It would be like sitting in a woodshop classroom and studying the design, purpose, and potential of each tool, but never taking those tools off the pegboard to build something new. Today my students are able to publish their work in significantly more powerful ways than my construction paper booklet. They write novels and publish them on Amazon; they blog literary analysis online; they craft poems and share them in digital portfolios; and they write, edit, and bind their own magazines. Their making is often intensely personal, as their writing comes from deep within them, and they experience great pride when the fruits of their making are published for others to see. Yes, the maker lab is an exciting place, filled with possibility that honors our students’ creative, innovative minds. But the writing classroom should also be an inspirational place: a place of noisy collaboration, but also a place of quiet, contemplative thinking and writing; a place where students take nouns and verbs down from the pegboard and use them to design, polish, and publish something new.